To mark Charity Trustees Week Ireland 2018, Lisa-Nicole Dunne, Cii Trustee & CMRF Crumlin CEO, writes about her experience as a charity trustee. Having worked for UNICEF, Focus Ireland and CMRF Crumlin, and having served on the board of Fundraising Ireland for a short period I am completely passionate about the value that the non-profit sector brings to our society. It’s really quite amazing. In an executive leadership role, you depend on your board to be supportive, strategic, challenging, curious, analytical, and passionate. I have worked with and depended on many wonderful trustees along the way. Trustees play a vital role in active steering of charities to deliver the impact they are here for and oversight and review to ensure they are doing this in the best possible way. I became a trustee because I felt this is a sector that needs more advocates and I think being on a board is an exciting way to get involved with a cause you are passionate about. Whilst there is a critical need to focus on fiduciary responsibilities and good governance, charities depend on board members to be connectors, champions and to help with development too, so people with good sales marketing and business skills, and great networks can make a huge contribution. It has been really interesting to see things from a trustee perspective and I think it has helped me improve my own skills and given a wider perspective as an executive manager. I am now a trustee of Charities Institute Ireland since its fruition, and we have been undergoing a review of the needs of our board as we grow into a young but vibrant organisation that helps the sector with strengthening its reputation, skills development and with key strategic issues as an advocate. We recognise that a diverse board, with skills and experience from across a wide range of sectors and backgrounds, is most conducive to being productive. I would therefore encourage people of all ages and backgrounds to consider developing their skills and networks by joining a non-profit board whilst also really contributing in a meaningful way to the world in which we all live. Kicking off the 2018 Charity Trustees Week (#TrusteesWeekIrl) international author, speaker and trainer, Dan Pallotta, will be delivering his Bolder Board Training. Join 300 leaders of the non for profit sector on Monday 12th November in Dublin by booking your place today. European Fundraising Association (EFA) holds its first Certification Symposium. The theme of the symposium was "Developing and Improving Fundraising Education in Europe – Sharing Best Practices and Insights from Fundraising Education Research". The aim of the working group is to strengthen fundraising education in Europe by assessing and moving the EFA Certification accreditation scheme forward, as well as facilitating the exchange of knowledge. The symposium was attended by 25 representatives from around the EU and the US, including Dr Adrian Sargeant PhD, Eva Aldrich, CEO at CFRE International and hosted by the EFA Chair, Gosse Bosma at the offices of Goede Doelen Nederland in Amsterdam. Initially developed with EU funding, EFA Certification is a framework that enables members to develop national qualifications for fundraising based on one core syllabus and a set of fundraising competencies. Having been developed ten years ago, it is now to being reviewed and updated, ensuring the curriculum will continue to address the educational needs of modern day fundraisers throughout the Europe. One of the key takeaways from the day was to create "a universal accreditation that everyone in fundraising (or who wants to be in fundraising) should aspire to have". More work is currently being undertaken by the EFA over the next few months and Cii will share the results with you once they are released. Fundraising is essential for the success of any charity, and often requires plenty of organisational planning, brainstorming and creativity to boost your charities income so you can continue to provide valuable services or support to your cause. While some fundraising co-ordinators choose to skydive for charity, hold a table quiz or a black tie event, there’s nothing more spiritually enriching than walking or cycling the Camino de Santiago in aid of your chosen cause. The Camino de Santiago is series of ancient trails in Spain, all leading to the purported burial place of St James The Greater, apostle of Jesus Christ, at the Catedral de Santiago de Compostela. For the over a millennium, pilgrims have been flocking from all over the world to visit his final resting place - the spectacular Catedral de Santiago de Compostela. In recent years however, the Way of St. James has evolved from a Christian pilgrimage to a more spiritually inclusive experience walked by thousands of people from all faiths every year and is becoming an increasingly popular challenge for charity groups to take on. Many modern pilgrims choose to travel on the Camino de Santiago to challenge themselves. Whether you walk 100KM or 800KM, the Camino is a commitment and not an easy feat that requires training. We at Follow The Camino believe that anybody can complete their Camino with the right attitude and a few training tips, and the satisfaction you get when you reach the famous Catedral de Santiago de Compostela is incomparable to anything else! To many, the thought of walking 800KM across the north of Spain is daunting - but remember, we can tailor your walk to suit any age or fitness level. Need a rest day every two days to catch your breath? No problem. Are you a running enthusiast and want to set a personal best record? We can help too. We’ll sort out your itinerary in advance of your trip, so you have nothing to worry about but the road in front of you. And of course, we can help with any last second emergencies like sore feet and sprains, and help you get back on the trail ASAP. 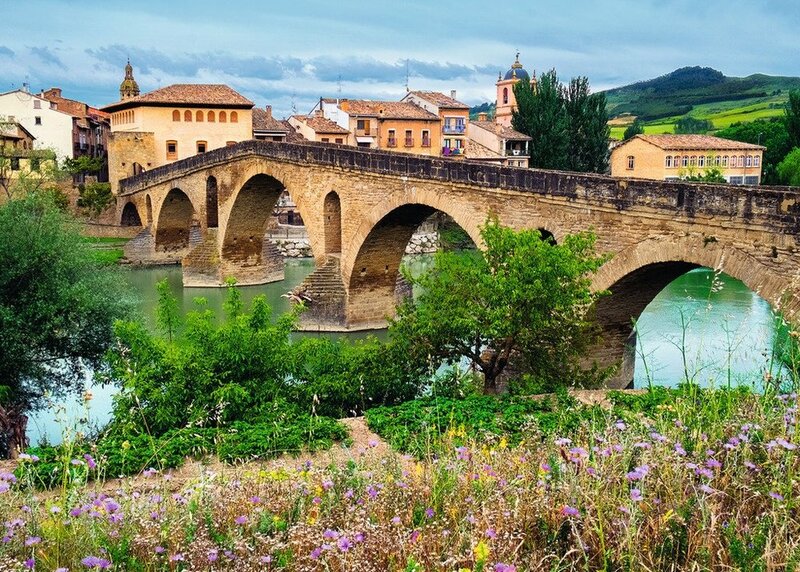 The Camino de Santiago is so much more than a long walk. It’s a wonderful way to reconnect with nature, your body and your spirit. Many pilgrims report feeling a sense of peace and tranquility when walking the way - forgetting everyday problems at home and growing a new found appreciation for the little things in life. What surprises pilgrims the most, is realising just how little they need to get by. Whether it be a kind stranger giving you a smile and saying, “Buen Camino!” as they walk by, or a hot meal at the end of a long day of walking, the Camino helps you to put things in perspective and realise what is important in life. The most popular route to Santiago de Compostela is called the Camino Frances (The French Way) which starts in St Jean Pied de Port in southern France. From there, it traverses the Pyrenees and along Northern Spain until reaches Santiago de Compostela in Galicia. This full route takes approximately 35 days to complete, but many charity groups choose to walk the final 100KM over the course of a week. The most popular Charity Camino tour is this last section of the French Way from Sarria to Santiago de Compostela, which enables you to qualify for your Compostela/Pilgrim Certificate. But we can also organise tours along the Portuguese Way from Tui to Santiago de Compostela which also enables you to qualify for the Pilgrim Certificate. Not only is taking on the Camino de Santiago a fantastic way to raise much-needed funds, but it’s an excellent motivation to get in shape, lose some weight or build up strength. Experts recommend a minimum of 10,000KM steps per day for the average person. On the Camino, you could be walking 2 or 3 times that amount in any given day. All that extra activity requires training, too, helping you build up a life-changing habit of regular exercise! Not only does walking help you lose weight and de-stress, it also lowers your blood pressure and reduce your risk of many chronic diseases. By walking the Camino, your organisation can advocate for a healthy lifestyle and inspire people to get more active. “Dublin-based 'Follow the Camino' have been absolutely superb in organising this trip and looking after us along the way. They made everything so easy and smooth!" "To maintain existing essential and vital services for our members we need to raise a minimum of €2million annually. We found that once the Camino was mentioned, feedback was tremendous. We targeted 30 people and we had 36! 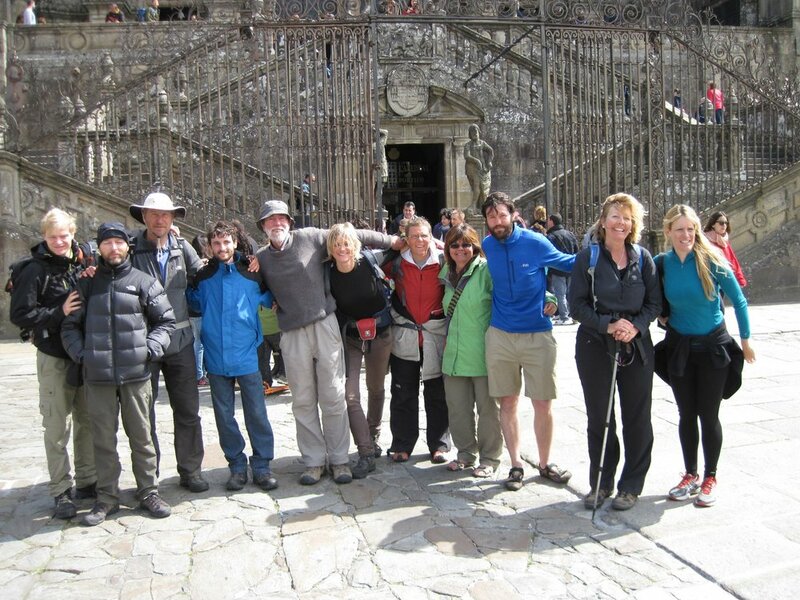 Follow the Camino helped us make it a success organisation-wise, trip-wise and fundraising-wise." Charities in Ireland face an increase in cybersecurity threats. Cybercrime incidents are increasing, and no-one is immune. Criminals have the means and the opportunity to target organisations for extortion, financial gain, or to steal valuable data. As the rate of attacks rises, so too are the costs to recover. As well as financial losses, a security incident could harm their reputation or set back their ability to deliver services. Charities also face the challenge of complying with the forthcoming EU General Data Protection Regulation (GDPR). That is why BH Consulting has prepared this free guide to better security. Suitable for large and small charitable and non-profit groups, it contains 10 high-level, practical steps to address their most important security concerns and protect valuable data. Configure your systems to prevent staff from accessing information if they don’t need it to do their work. Your information is valuable to criminals. More importantly, your donors and stakeholders have entrusted their data to your charity. That is why it is so important to protect it. The 10 steps listed above are the first stage in improving your protection controls. We also recommend that charities should prepare an incident response plan which they can implement if a data breach occurs. With a direct link between trust and transparency we want to get to the bottom of why some charity Trustees are choosing to file abridged accounts. according to benefacts the numbers of charities choosing abridged accounts has jumped from 24% in 2016 to 32% in 2017. One of the three elements of the Charities Institute Ireland Triple Lock is a commitment to Charity SORP (Statement of Recommended Practice). Charity SORP is the gold standard of financial reporting because it requires a greater level of information and disclosure to funders, donors, beneficiaries and the general public. It includes a description of the principle risks the charity faces and how it manages them, it explains the policy for holding reserves and explains how it remunerates its executive team. In the charity sector transparency and trust are inextricably linked. The charities who produce SORP accounts understand this. So, when a charity chooses to file abridged accounts they are doing the opposite, they are providing the minimum information required of them. Over half (53%) of Charities Institute Ireland members are already SORP compliant and the remainder are committed to adopting Charity SORP in the next 2 years. 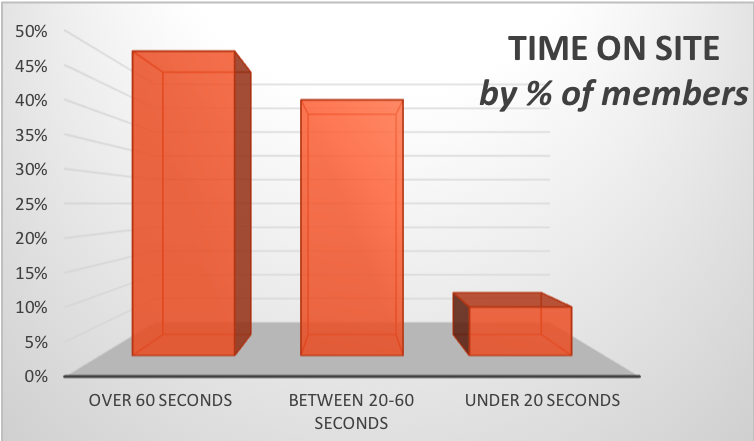 The Benefacts article asks,why are we seeing an increase in abridged accounts when we know the public want more information? In our opinion one of the reasons is the advice charities are receiving from some auditors. We have had a number of charities tell us that their auditors are recommending they avoid Charity SORP on the grounds that it is costly, time consuming and not yet necessary (while SORP is mandatory for charities in Scotland, England and Wales it still remains optional here in Ireland). it is time for auditors to stop giving clients a list of reasons why charities sorp isn’t necessary and start actively promoting it as the industry standard in financial reporting for their charity clients. Charities Institute Ireland is compiling a register of auditors committed to Charities SORP for charity clients regardless of size and income. We will promote this list on our website. 2017 has been hugely successful for Charities Institute Ireland. From developing the Triple-Lock standard to our work with the Charities Regulator, it has been an inspiring, exciting and highly productive first full year in operation. CEO Lucy Masterson takes a brief look back at the last 12 months and ahead at our goals for 2018. I was delighted to be part of the panel discussion ‘Charity Leadership – From Good to Great’ at the recent Charities Institute Ireland’s annual conference and noted the parallel governance journey of UK and Irish charities. With the Governance Code for the Community, Voluntary and Charity Sector currently under review and in consultation, I take the opportunity to share with Irish charity trustees England and Wales’ elaboration of its Charity Governance Code launched in July. Criticism of the 2010 version of the charity code was that it continued to be focused on the mechanics of good governance: policies, processes, procedures and didn’t reflect the current importance placed upon the dynamics of good governance: people, personality, behaviours, relationships, culture and values. This has changed. Foundation principle – which expects trustees to be committed to the cause, recognise meeting public benefit is an ongoing requirement, understand role and legal responsibilities, and commit to implementing good governance. Principle 1 Organisational purpose - the board is clear about the charity’s aims and ensures that these are being delivered effectively and sustainably. Principle 2 Leadership - every charity is led by an effective board that provides strategic leadership in line with the charity’s aims and values. Principle 3 Integrity - the board acts with integrity, adopting values and creating a culture which helps achieve the organisation’s charitable purposes. The board is aware of the importance of the public’s confidence and trust in charities, and trustees undertake their duties accordingly. Principle 4 Decision making, risk and control - the board makes sure that its decision-making processes are informed, rigorous and timely and that effective delegation, control and risk-assessment and management systems are set up and monitored. Principle 5 Board effectiveness - the board works as an effective team, using the appropriate balance of skills, experience, backgrounds and knowledge to make informed decisions. Principle 6 Diversity - the board’s approach to diversity supports its effectiveness, leadership and decision making. Principle 7 Open and accountable - the board leads the organisation in being transparent and accountable. The charity is open in its work, unless there is good reason for it not to be. In addition to these principles, there is supporting rationale, outcomes and recommended practice (separated between charities with an annual income over £1m and those below). One fundamental difference in this code is the adoption of ‘apply or explain’. As the code is voluntary, it better reflects the reality that we can only encourage charities to adopt the code and explain how their governance arrangements are effective. There still remain areas that require further clarification or guidance, e.g. an example of reporting the application of the code in the trustee annual report, although we do not promote any type of ‘boilerplate’ statements; guidance on diversity reports; and more emphasis on the long-term interests of beneficiaries. Various organisations are producing guidance and toolkits to help charities implement the code; some will be free. Where relevant, many will be signposted on the code’s website. Producing the code is only the start of the hard work, the steering group are now looking at how to put the code on a more sustainable footing. Further funding is required to help promote take up of the code and develop baseline research to measure impact. Furthermore, developments in the UK Corporate Governance Code will be monitored with a view to any impact it will have on the current code. This could mean the code is revised in the next two years. The steering group is also reviewing its composition – like all committees we need to ensure we have the right skills, competencies and knowledge to drive the code forward. In recent weeks reputational issues associated with charity operations continue to challenge the sector with standards in some organisations falling below what would be expected of those in receipt of public and/or government funding. This ripple effect is leaving few charities untouched. The work that Ireland's charitable organisations carry out is invaluable, providing essential services to those most in need or who have been neglected by other sectors across society. But, there remains as much of a requirement here as in any other sector to ensure proper levels of good governance, transparency and accountability. The significance of this requirement cannot be emphasised enough as it is imperative in maintaining the trust of partners, patrons, sponsors, the general public and all those who rely on the vital services of charities. Charities Institute Ireland believes that the success of the charitable sector going forward will be in how the sector confronts the inconvenient truths of past practices of some charities and use the current challenges to integrate good corporate practice, procedures and effective governance to ensure that it reaches the highest standards of accountability, transparency and public trust. Without good governance, this sector will find it hard to achieve any sustained development let alone rise to the challenge of achieving true equitable social change. What is the Charities SORP? The Charities SORP is a Statement of Recommended Practice which sets out how charities should prepare their annual accounts and report on their finances. The SORP is an interpretation of the underlying financial reporting standards and generally accepted accounting practice. The SORP is overseen by a committee of 17 expert members drawn from the 4 charity law jurisdictions covered by UK-Irish GAAP. What is the charities SORP (FRS102)? The introduction of Financial Reporting Standard 102 (FRS 102) was a radical change as it brought together a whole series of piecemeal standards and guidelines on general accounting into a single standard. When FRS102 was introduced, the Charities SORP was revised to interpret FRS102 for charities. A charity will now need to comply with FRS102 and the SORP (FRS102) for their financial statements to show a true and fair view. How are charity SORP (FRS102) accounts different from standard FRS102 accounts? The Charities SORP requires a far greater level of information and disclosures in order to provide transparency and accountability. There are more requirements for the directors’ report, more analysis of income and expenditure and a focus on the funds position. What is different about the directors’ report? The directors’ or trustees’ report has to provide information on why the charity exists, so its objectives and aims, plus describe the types of activities it undertakes and how it delivers public benefit. The trustees’ report will incorporate the requirements of a business review or strategic report but offer more in terms of explaining the charity’s performance in the financial period and the impact its achievements have had on its beneficiaries. Then there are the 3Rs: risk, reserves and remuneration. A charity has to describe the principal risks it faces and how it manages them, explain its policy for holding reserves and explain how it remunerates its executive staff. What’s different about the statement of comprehensive income? A charity will call this the SOFA, being the Statement of Financial Activities. A SOFA has far more detail than a typical income statement, with analysis of the key income streams between donations and legacies, income from charitable activities, income from trading activities and investment income. The expenditure will be analysed in a similar way, showing the costs of raising funds, investing and trading and the costs of delivering the charitable activities. The charitable activities should be analysed into the key activities described in the trustees’ report, so providing the reader with an understanding of the income and expenditure for each activity. The most striking difference on a SOFA is the analysis of funds. There will be multiple columns on the SOFA to report the income and expenditure for endowment funds, restricted funds and unrestricted funds and the total. The nature of the fund determines what it was given for and how it can be used. Charities must use funds received in accordance with the conditions the funds were given under, so this analysis is key to providing accountability in the financial statements. The SOFA does not report a profit or loss, but rather the net income/expenditure for the year and the net movement in funds. This is because a charity is not focussed on generating a profit/surplus or loss/deficit. The key things to report are the funds in, the funds out and the funds carried forward to spend in future periods. There is additional analysis in the notes of the movements of individual funds, whether they are endowments to be held as capital, restricted funds to be spent on particular purposes, designated funds which the trustees have earmarked for specific purposes or the general or “free” reserves. What’s different about the statement of financial position? A charity’s balance sheet will be very similar in presentation to a commercial entity’s, with the exception of the funds. The bottom half of the balance sheet will be analysed to show the amounts held in each of the endowment, restricted, designated and general funds. What’s different about the statement of cash flows? The statement itself is not different, but there are different requirements for which charities must prepare one. The Charities SORP requires all “larger” charities with income over €500,000 to prepare a statement of cash flows, regardless of whether they could take the exemption under section 1A of FRS102. The notes will provide an analysis of the income and expenditure by activity. As well as the key activities on the face of the SOFA, the notes will report expenditure incurred by way of overheads to support the key activities and the governance of the organisation. These are reported in the notes and then allocated to the key activities on the SOFA. The notes also need to disclose any transactions with related parties. The related parties of a charity include all the trustees and their close family members, plus the key management personnel and their spouses. If the charity transacts with any of these individuals, it will need to consider if the transaction needs to be disclosed in the financial statements. The SORP provides information on the types of transactions that must be reported and those that do not. The most important disclosure is where a trustee has been paid, either for performing their trustee role or in their professional capacity. The most common disclosure is in relation to trustees’ expenses, which must be disclosed whether they are reimbursed costs that the trustee has paid for themselves or whether the charity paid for the expenditure directly on the trustees’ behalf. The SORP also requires the disclosure of any donations from related parties, with detailed disclosure for any donations made with conditions. The charity must also disclose the aggregate total of donations received from related parties without conditions. The next full day SORP training course is on the 25th October at the RCPI, 6 Kildare St, Dublin. 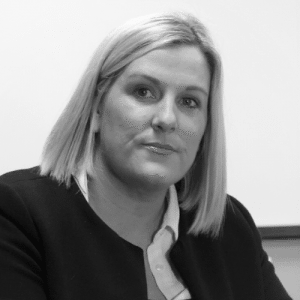 Managing Long Term – A space for mergers? Charitable and not-for-profit organisations serve a unique function, offering public benefits through private and voluntary actions. Playing such an important and omnipresent role in the lives of so many of us here in Ireland and abroad requires this sector to operate in a manner as not to be wasteful with its resources and to achieve the greatest positive impact on behalf of its beneficiaries, donor, sponsors and patrons. These challenges have become more pronounced because of the recent economic collapse and consequential fall in fundraised income, and in part, due to the erosion of trust resulting from the failures within the sector. Coupled with this, a decrease in government funding, which previously had been a given and stable source of income, is now a new reality for many organisations. This is particularly poignant and ironic, coming at a time of greater need for the services offered by this sector. With public perception of an overcrowded and highly competitive marketplace coupled with constrained public and private funding and the continuing public interest in how this sector is managed and funded, demands the sector to justify its effectiveness, fulfil its objectives and demonstrate its impact. In this period of great social, economic and regulatory change it is essential for organisations to assess their effectiveness and areas for improvement, to create more innovate flows of finance to secure their future and maintain public legitimacy and integrity. By being viewed in the broad context of partnership and collaboration, articulating the value of mergers as a means of joint working could be an obvious answer, and part of the innovation to create value and an important means of making charities more effective by improving existing services, creating new benefits and saving money. Mergers within this sector are not very common suggesting that the sector is not organised to maximise value. To help understand this we need to look at the structure of the sector and what defines the trends and behaviours around mergers, most being perceived as hostile and/or predatory, frequently driven by crisis but rarely seen as a means to growth. This defensive approach is in direct contrast to the growth seeking attitude that we often see in the ‘for-profit’ sector where acquiring companies is normal business creating value for shareholders. Charities worry that merging will reduce income and their ability to generate revenue often arguing that a merged charity will only attract one grant where two charities would normally get one each. Patrons, sponsors and donors prefer to fund projects rather than organisations so this reasoning should have no basis. A merger that is done well and reduces costs could be a powerful argument for attracting more funding. Organisations managed as a single entity or formed by the amalgamation of two or more organisations is greater than the sum of its parts not only creating clear economies of scale but by consolidation: aligning mission, capital and impact strategies, will help to secure sustainability and growth whilst optimising efficiencies, ensuring long-term viability, funding growth opportunities and balancing risk. Each charity is unique and does a remarkable job given their size and budgets, but some have much in common. By coming together and retaining the best elements of both, organisations can boost what each has rather than compete for it. But what of the opportunities for improving services for beneficiaries? What of the economic benefits, the opportunity that a hard Brexit could bring and the possibilities of mergers or alliances between Irish and UK charities? The motivation for a merger needs to come from within with the broad support of trustees and staff and viewed as a strategic decision, driven by a desire to improve services for beneficiaries and achieving its charitable purpose. Foremost in the minds of trustees and executives should be the question ‘how can we achieve the most for the people we seek to help?’ Pursuing a charitable objective should encourage trustees and the executive to seek what is best for their beneficiaries, not what is best for their charity. Putting mission ahead of individual organisational interests should effect greater collaboration and an openness to merge. It is time for those of us within this sector to find solutions to our recurring problems. Charities Institute Ireland does not advocate a merger without careful consideration or due process but does realise that an important obstacle to considering mergers and alliances is the availability of information thus making it hard to spot opportunities for collaboration and identifying potential mergers. Charities Institute Ireland, itself born of a merger, will over the coming months host a number of ‘Member Advisory Forums’ which will cover this important topic and discuss opportunities in greater detail. Charities Institute Ireland would like to thank you for the opportunity to make a submission regarding ‘Profiling’ under the upcoming General Data Protection Regulation (GDPR). A purpose for assessing certain aspects relating to a natural person. Firstly, it is necessary to understand that if the decision is not fully automated, and if a person intervenes in the processing of the data, notably to make the decision, that this is not profiling? The legislation appears to go in this direction since it states that the person has the right not to be subjected to fully automated processing based solely on profiling and is not applicable where the interest of the recipient does not constitute a decision for ‘legal consequences’ or ‘not significantly’ affecting the person concerned, such as an automatically declined loan, mortgage, increase in an insurance policy etc. Any classification of individuals according to specific segmentation criteria can be considered as profiling, assuming that it is actually performed by machines e.g., students ranked by grades to assess their performance, sales professionals in an organisation evaluated on the basis of ranking of sales figures etc. From our interpretation, we understand that none of these examples fall within the scope of the ‘profiling’ provision. In our opinion, the main problem is not necessarily profiling but rather the way in which the profiling is actually used, its impact on the individual and the lack of human intervention. May cause unfair, detrimental and significant effects to the persons concerned in relation to access to essential services (mortgages, loan Insurance) or to their dignity and freedoms. Furthermore, the GDPR definition of profiling appropriately includes basic online business activities such as consumer segmentation to provide appropriate advice or advertising. This type of profiling is often referred to as ‘current’ profiling and is at the origin of a free internet for all. The GDPR distinguishes ‘current’ profiling from profiling associated with fully automated data processing that has ‘legal effects’ or ‘significantly affect’s the data subjects. ‘Current’ profiling is legitimate business interests and the data subjects have the right to object. The right to object to profiling which is based on legitimate business interests of the controller is a reflection of the previous directives and an equitable way of offering individuals the ability to choose and control. GDPR rightly recognises that companies cannot offer users the main services on which they rely without ‘current’ profiling such as preference based advertising. Should it be considered that targeted advertising has legal effects or affects the person concerned significantly? If this is the case we would like to draw your attention to the fact that such a qualification could have serious economic consequences, since all sectors of activity today use targeted advertising. Charities Institute Ireland calls on the Data Protection Commissioner to interpret these provisions in line with the original spirit of the GDPR – that is, by limiting decisions considered to have ‘legal effects’ or ‘significant effects’ to situations where these effects would have a real negative impact on the persons concerned e.g., the ability to obtain credit etc. Detailing profiling/development purposes within the Privacy Statement and Data Usage Statements of a charitable organisation is sufficient to adhere to this element of the GDPR. That the right of donors to oppose profiling is satisfied by allowing the person concerned to delete their information without any other conditions. Charities Institute Ireland considers that donor profiling does not deprive the person concerned of a right but on the contrary fosters true engagement and giving as it is adopted to the donors values and interests and thus seen as an opportunity to express their support for a charity and not an intrusion on privacy. A survey commissioned by Charities Institute Ireland (Cii), published today, Monday 27th March, shows that there is a rise in the number of people who feel that Irish charities are doing a good job of restoring trust in the sector. Of those who expressed an opinion, 27 per cent feel that the Irish charity sector is “doing enough to build trust with their donors” - an increase of 14 per cent from 2016’s survey, when the same question was asked. The survey, undertaken by Amárach Research, also shows that while just 24 per cent feel that they can trust Irish charities nowadays, this figure remains unchanged from last year, showing that the decline as halted. Lucy Masterson, CEO of Charities Institute Ireland, commented on the findings today. “While trust in the sector is still much lower than we would like it to be - largely due to the malpractice that was brought to light in the last two years - these new findings are encouraging. They show that the declining trend in trust has halted, and that the public are beginning to have confidence that the sector, as a whole, is working hard to restore that trust,” she said. 46 per cent of those surveyed feel that wages in the charity sector are too high. This is unchanged since last year, but is down from 51 per cent in 2015. 43 per cent agree that senior management in the charity sector should be paid less than their private sector counterparts. However, 55 per cent agree that charities should get the best professionals possible to work for them. This is down from 68 per cent in 2015, but it is still a high percentage. In addition, 37 per cent of those surveyed agree that charities need to pay competitive wages to get the best people to work for them. Overall, people are more likely to sign up to a regular direct debit payment to a charity. 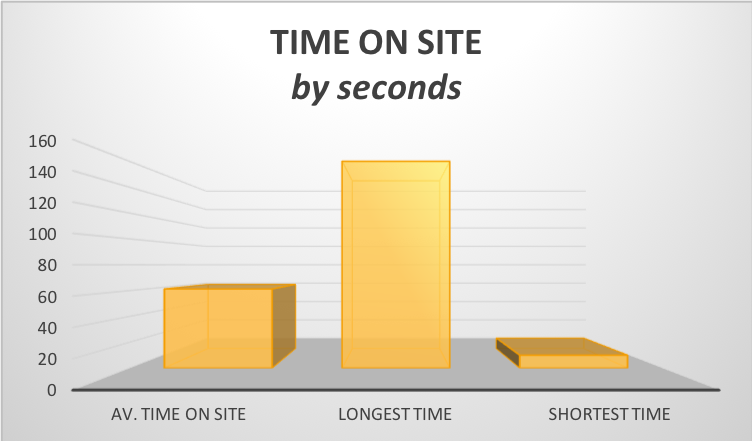 Direct mail is the most likely form of communication to lead a sign-up. The survey shows that people’s preferred method of communication is email or direct mail, with those under 45 more likely to opt for email. This survey is the 3rd annual tracker developed for the charity sector by Amárach Research and supported by An Post. The upcoming General Data Protection Regulation (GDPR) signals a new generation of data privacy laws that commands a major shift for many charities, religious orders and not-for-profits. This new legislation will impact how these organisations use data. Charities Institute Ireland believes that this legislation will enable religious orders, charities and not-for-profits to appropriately balance collaboration and transparency with data protection and privacy, supporting them in their work with donors and beneficiaries to bring about a culture of engagement and giving that is progressively seen as a welcome opportunity to express one’s values and support for these organisations and not an intrusion on privacy. Charities Institute Ireland has devised a survey to examine the readiness of Irish charities, religious orders and not-for-profits towards GDPR, to benchmark key operational impacts and assess the difficulty in complying to the new regulations. Your feedback will enable Charities Institute Ireland to plan on how best to assist you in your preparation for and compliance with GDPR. Letter to Editor, the Irish Times. Oliver Callan’s article ‘The Season of charity guilt-tripping’ in the Irish Times (Dec 15th) conflates facts with one-liners and replaces analysis with misinformed opinion. His allegation that charities are ‘out of control’ and ‘in urgent need of regulation’ is simply false. Strict accounting requirements, from Revenue to HSE, apply to all charity fundraising and spending. Charities actively sought the additional monitoring and regulation now provided through the Charity Regulator. His claim that there are 24,000 charities is wrong by a multiple of three. Revenue have granted charitable tax exemption in 8,150 cases. Charities are appalled at the rare occurrence of fraud, as alleged in the case of Console, and I have publicly and strongly condemned this type of behaviour. His conversation with ‘one lady’ who claimed that only five cent in every euro raised ‘was used for the actual cause’ bears no link to the reality. The average is 70 cent in every euro going to the cause. Charities do not ‘fumble in greasy tills, free from proper oversight.’ Only a fraction of charities engage in any significant fundraising and this is undertaken to maintain essential services under increasing pressure as an outcome of recession. He complains that ‘so many services for the most vulnerable fall to charities’ and that ‘the vast majority are probably…pointless’ Health charities, for example, provide expertise, understanding and support to individuals and families that matches and regularly surpasses the state in competence and efficiency. Charities continue to be contracted by the state and its agencies to deliver vital services in health and other areas for this precise reason. Like any other sector of society, charities are not perfect. But the vast majority of the thousands of people who work or give their time to charities day in, day out, do so out of genuine commitment and belief in a cause. The general public understand the role and contribution of the sector. In a brief lapse into factual reality, Oliver Callan acknowledges this and that Ireland is consistently ‘in the Top 10 in the World Giving Index.’ But he has otherwise abused his considerable talents in taking a cheap shot at the very concept of giving and working for social impact and justice.